Sri Lanka must prioritize developing its human resources with continuous investments over hard infrastructure developments, to move forward with the increasing competition in the South Asian region, which is overshadowed by economies with large populations, according to the country’s junior finance minister. “We need to recognise our human resources. Being the smallest country in the region, the only way we can move ahead is by developing and continuously investing in our human resources. There is no other way apart from investing in our human resources. Therefore, in everything we do, we need to focus on human resources, which we have neglected over the past decade or so. We need to put our money really in them,” Finance State Minister Eran Wickramaratne said. 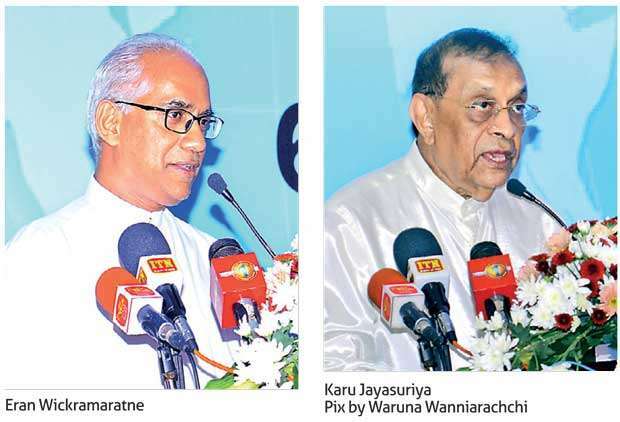 He was speaking at the 70th Annual General Meeting of the National Chamber of Commerce, in Colombo, on Tuesday. He noted that human resources is one of the two unique selling propositions that Sri Lanka has to offer to investors, while the other being Sri Lanka’s location. However, he said Sri Lankans have constrained themselves by being in ideological boxes without pursuing practical solutions in order to become a developed nation since independence. He noted that Sri Lanka’s way of thinking sometimes acts as a barrier in reaching the full economic potential of the country. Recalling the debate on the Sena caterpillar (armyworm) in Parliament, last week, Wickramaratne said the parliamentarians were debating on who was behind the menace, instead of how to combat it by tapping into scientific methods. He pointed out that these conspiracy theories overshadowed Sri Lanka’s real economic debate since 1930s and the situation is yet to be changed. “I am not really caught up in ideologies. I think we just need to be practical and get along,” he said. Meanwhile, delivering the keynote address, Speaker of Parliament Karu Jayasuriya insisted that the government should carry out immediate reforms on the non-performing state-owned enterprises (SOEs), which are bleeding the nation. Jayasuriya suggested that the best way to carry out the restructuring of these SOEs is through listing them on the Colombo Stock Exchange. He also emphasised that the wealth creation of the nation should be in the hands of the private sector and the government should play the facilitator role by providing the necessary infrastructure and ensuring the rule of law, creating a conducive environment for the businesses to operate. Will lotus bud derail Sri Lanka’s economic reform agenda ?